Clinic Synopsis: The mysteries of cello technique revealed! Discover how to navigate the cello fingerboard by using the thumb as a geographic tool. Marvel at the possibility of playing 3-octave scales in any key in ten minutes. Excite your students about learning thumb position and tenor clef. Prepare your students for playing advanced literature and explore the experience of the cello ensemble. Clinician Biographical Information Lynne Latham (b. 1960) earned a B.M. and M.M. in cello performance from Miami University in Oxford, Ohio. For 20 years, she maintained a private studio of violin, viola, and cello students in the Winston-Salem, North Carolina area. Ms. Latham is a frequent freelance performer and conductor with local chamber groups and orchestras. She is often a clinician/conductor at string clinics and educator conferences throughout the United States. 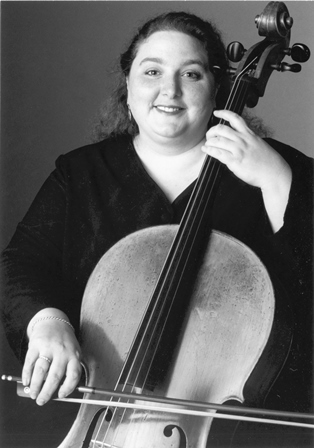 In 1992, Ms. Latham founded Latham Music, a music publishing company specializing in music for strings. In 2007, Latham Music was acquired by The Lorenz Corporation and Lynne was hired as the Executive Editor for Latham Music. She is now the String Editor for LudwigMasters Publications.